We all need a well insulated water bottle, whether you are going camping, jogging outdoors, going to the gym or library, or simply want to go green and not use a disposable cup, you need a water bottle, best if insulated, to carry your drink around. How Find Best Insulated Water Bottle? There are several factors to consider when making a selection that will fit your lifestyle. These include the overall size, insulating performance, and durability. Many people nowadays are aware of the effect that materials such as BPA can have on their health and they pay special attention to this as well. In this article, we want to make it easier for you to choose the insulated water bottle that is right for you. If indeed you are going outdoors, we recommend you also check our top picks for backpacking tent and perhaps bushcraft knife guide to be better prepared for your tip. 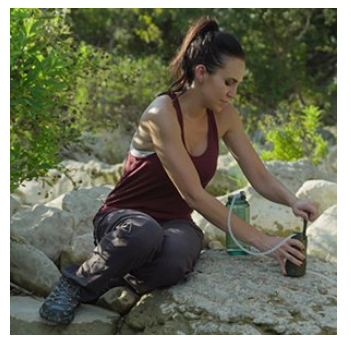 keeps beverages cold up to 24 hrs & hot up to 12 hrs. Wash parts separately & re-assemble. What Is Your Top Water Bottle? These 10 insulated water bottles are rated highly for their performance and can supply drinks/water at the temperature you want it, whether it’s cold or hot. Whether you plan to go hiking or need a durable bottle for your daily needs, these will help you to stay hydrated. Choose a simple, safe and attractive bottle for your water today. 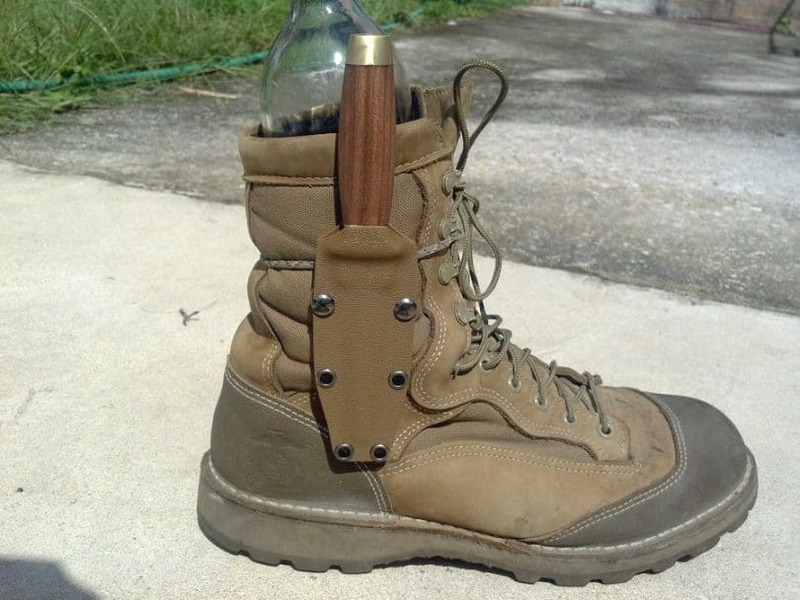 Going on a hunting trip or deep into the woods? Then you will find our hunting knife and combat knife guides very helpful. 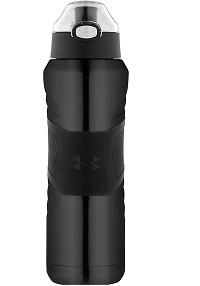 The Under Armour Dominate 24 Ounce Vacuum Insulated Stainless Steel Bottle costs $29.99. It can hold 24 ounces of hot or cold liquid and is completely leak-proof. Its convenient flip top makes it easy for you to rehydrate when you need to. It has a sleek design so it will blend well with the rest of your gear when you want to beat the heat. The only con of this bottle is the seal, which will eventually wear after years of use. With its strong stainless steel exterior, this bottle is ideal for people who spend a lot of time outdoors participating in sports like rock climbing. Both the interior and exterior are unbreakable and yet, the soft silicone grip makes it comfortable to hold. 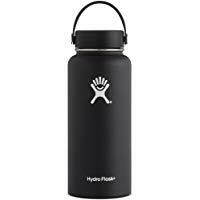 The Hydro Flask 24 Ounce Insulated Stainless Steel Water Bottle costs $25.19 and holds 24 ounces of water. 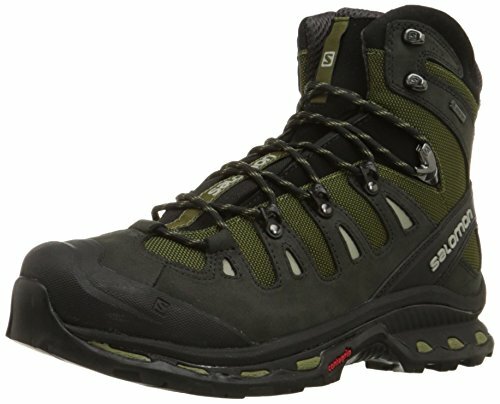 It is quite lightweight and is ideal for hiking or long bike trips because its material doesn’t add an extra load to your gear. It doesn’t sweat and won’t leave a puddle on your desk. The only drawback is that it’s a bit heavier than non-insulated bottles. 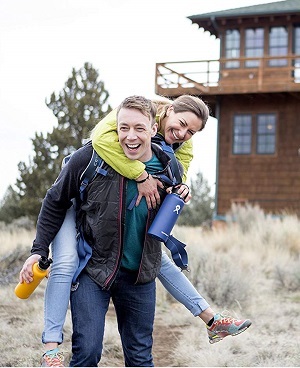 This BPA free bottle is perfect for socially-conscious men and women who like to stay active and give back to their community. Five percent of the profit made from each purchase goes back to a charity that you choose. 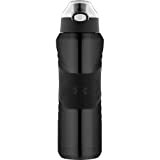 Pick this flask if you need a durable bottle that will keep water ice cold for hours in the hot sun. The Camelbak Groove Insulated Water Bottle costs $22.99. It is designed with a filter that converts tap water into clean, fresh-tasting water instantly. It holds about 20 ounces of water and is NSF-certified to reduce toxins such as chlorine. This bottle comes with a BakTM lifetime guarantee and is safe for your dishwasher. The only drawback of this bottle is that it is mildly insulated. It will not keep water cool for more than five hours on very hot days. However, if you only need a bottle to have with you indoors when you are going to the gym or are at work, this is ideal. The Eddy Stainless Insulated 0.5L Bottle costs $26.53. It holds 0.5L of water and has a bite valve so you can increase the flow when you wish. This flask is completely BPA-free and does not contain any inner liners to change the taste of your water. Your water will remain cool after hours of biking or walking because it is made with double-wall insulation. The only drawback is the soft mouthpiece, which tends to accumulate mold over time. You will constantly have to clean that. However, if you need a bottle that can even store ice overnight, this is perfect. The Lifeline 7500WH 64 Ounce Stainless Steel Growler costs $26.11. 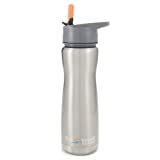 It has a capacity of 64 ounces and is great for active men and women who like drinking lots of water. Vacuum insulation allows liquids to stay cool inside this bottle for hours and its double wall design keeps the exterior at a comfortable temperature. 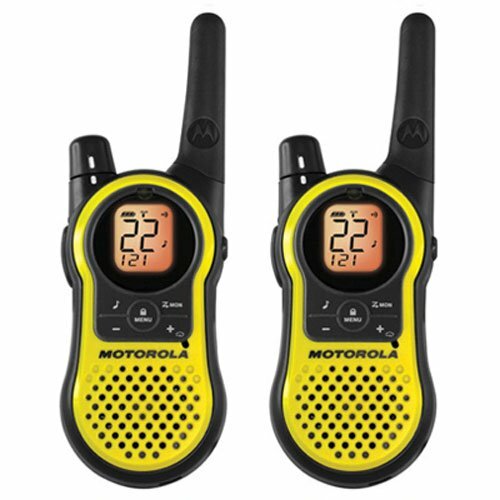 The manufacturer is known for producing top quality survival equipment, and all of the components are recyclable. The drawback to this bottle is its cap, which has to be screwed on and off. Otherwise, this is the best bottle for people who like hiking and need to avoid dehydration in places where there is no potable water. The Chill Warmer Insulated Water Bottle costs $13.99 and holds 17 ounces of water. It is completely free of harmful BPA, so you never have to worry about having that chemicals leach into your water. Its double walls are made of stainless steel, so liquids stay hot or cold for more than ten hours. Each bottle comes with a lifetime guarantee. When you buy this bottle, your coffee, water, and drinks will always taste fresh and not have any unpleasant flavors. The plastic hinge on this bottle could be stronger. However, this is the ideal bottle to get if you want a top flip bottle that also locks securely when you are not using it. 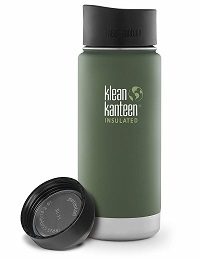 The Klean Kanteen Wide Insulated Water Bottle costs $18.64. This 20-ounce bottle has rounded corners which make it simple to clean by hand or in your dishwasher. In addition to that, it comes with a cap which doubles as a drinking mug. You can carry grapefruit juice, water or sports drinks in this flask and it will never impart their flavor to any other liquid that you pour in there. Your drinks will always taste good. It keeps smoothies cool too. The only issue with this bottle is that initially when you place hot liquids in it, the cap gives off a burnt rubber smell. Otherwise, this is perfect for keeping hot tea or cold juice with you at work. The Hanson Creek Stainless Steel Water Bottle costs $18.97. This BPA-free bottle comes with a one year guarantee. It is made of stainless steel and is good to have with you on a boat or while participating in water sports because it will not rust. It can hold 25 ounces of any beverage that you enjoy. This bottle is ideal for families who are traveling together, and the only con is that the cap has to be unscrewed whenever you want to drink water. It has a narrow mouth which makes it easy for kids to drink from it. The fact that it is free of BPA also makes it ideal for carrying drinks for young children. The Polar Bottle Insulated Water Bottle costs $7.99. It has a double walled design which traps a layer of air that blocks heat. It has a wide mouth so you can put ice cubes in your water and it keeps your beverages cold for hours. You can even put it in your freezer and freeze juice or water. This bottle holds 24 ounces of liquid and is very light, so you can easily carry it around with you. The drawback to using this bottle is that you have to enure that you tighten it properly. Otherwise, it will leak a bit. It is ideal for people who want to ride their bikes for long distances in the heat of summer. The 25 ounce Eco Vessel Summit Insulated Water Bottle costs $20.21. This bottle can keep your sports drinks cold for up to 36 hours, and it will not sweat so your hands stay dry while you are holding it. It is small enough to be carried comfortably by people with small hands. This bottle is supported by great customer service from the manufacturer, and the only drawback is that it does not fit in most cup holders with ease. It has a flip straw that makes it easy to drink with one hand. This means that this flask is perfect for busy people who are always on the go.